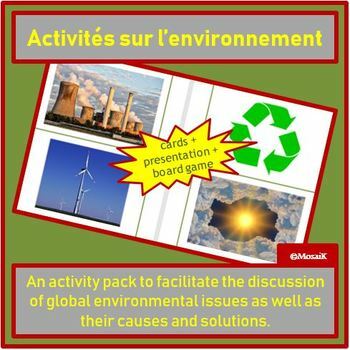 This activity pack is ideal to get your students talking in French about issues relating to our environment. 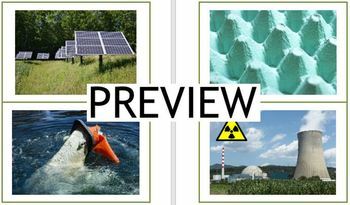 Except for the first slide on the PowerPoint Presentation, all activities only contain pictures. As well as teacher input, learners will need access to vocabulary lists (e.g. 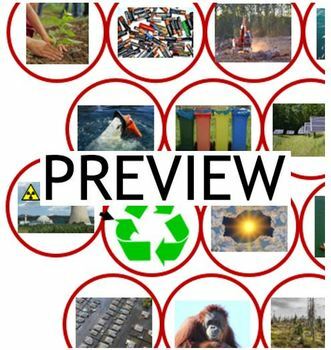 from a text book or websites) and/or dictionaries. An activity for vocabulary acquisition is suggested in the ‘suggestions document’.